Due to their diversity in use, lanyards or wristbands are one of the most used promotional products. The convenient everyday use makes them very popular as they are always at hand. They can also be used to carry backstage passes or tickets at exhibitions and concerts, if worn around the neck. Allbranded offers you a large selection of promotional lanyards, to use as promotional items in your marketing campaign. Whether they are made out of polyester, satin or nylon – all lanyards are available in various colours, sizes and widths and offer you enough space to advertise your brand. As early as the 15th century a predecessor of lanyards has been used in France, under the name ‘laniere’. As part of the military equipment, the middle age lanyards were used to carry swords, guns and arrows. For decorative purposes, lanyards are still part of uniforms in some countries. Another predecessor of the lanyard could be found in the Wild West. There, the lanyards were being used to distinguish cowboys and government officials. Different colours were used to provide information about the credentials and the rank of the person. Ever since the 1980s, with the discovery of the lanyard as a beautiful fashion accessory, it developed into one of the most popular promotional products. Promotional lanyards offer very good value for your money and are nowadays, obligatory conveyers of your advertising messages at big events and meetings. The band, which is twisted in the middle and stitched back together, provides optimal wearing comfort and offers a lot of space for a beautiful promotional print. Because the bands are used at events, they serve to carry things like keys, mobile phones or USB sticks. This way, promotional lanyards have already developed into one of the most ordered promotional item. Lanyards made out of polyester, are very different from giveaways like lighters or ballpoint pens, because of their long-ranging use. Because they are being used to carry important items, lanyards are being seen as personal property. Worn around the neck or hanging out of trouser pockets, they perfectly display the advertising message and are also characterised through great mobility. This way, your advertising effect is being multiplied, without you having to make a conscious effort. Because of its high user value as well as longevity as a product, the lanyard is one of the most authentic promotional products. Its wearer automatically becomes a brand ambassador, which represents the company’s values. If you are you an events manager, nothing will be better, than to distribute tickets to concerts with nylon lanyards, which the visitors can take home after the concert. It is also possible to sponsor lanyards for exhibitions, which carry entry tickets. By distributing eye-catching promotional lanyards and branded wristbands you will be able to make effective brand impressions on many different target groups. Promotional lanyards can be ordered either flat or tubular. 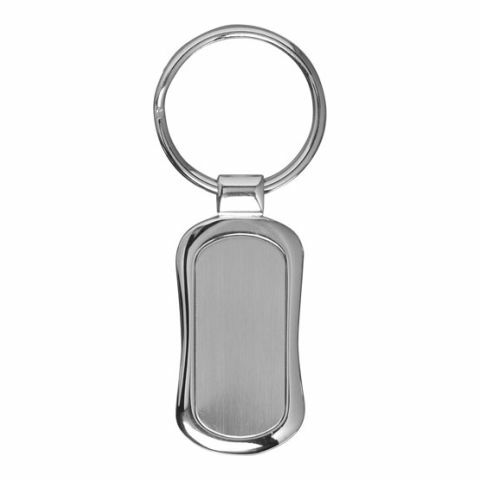 They can be made out of polyester, satin or nylon and have, most of the time, a plastic or carabiner clip, with which small items can be attached or detached from the lanyard. A safety clip can also be part of the lanyard, free of charge. While simple lanyards are usually good for printing text, pictures or other motives, premium lanyards made out of leather can be engraved. In recent times, more environmental friendly versions are in demand, such as lanyards made out of bamboo or recycled plastic, which can increase your company’s image in terms of eco-friendliness. With the promotional lanyards and promotional wristbands of allbranded you will reach the most target groups: Existing and new customers, co-workers as well as business partners can be addressed. With the help of a transfer print of your logo or marketing message, lanyards will be able to help you generate brand impressions and a strong advertising effect. As an everyday item, you can be sure to receive a sustainable advertising effect in the long run. Our customer service at allbranded would love to advice you on all our options, to personalise the lanyards as well as all the materials you can choose from.